Backpackers only bring with them items that are absolutely necessary to sustain themselves on the field. And when it comes to cooking a warm meal or preparing a hot cup of coffee, the stove is a convenient solution. Since backpacking usually means you have to carry everything you need on your own, a full-size stove is out of the question. You want a stove that is light, compact and effective for the job. In the case that you are searching for such a product, this article will be of use to you. 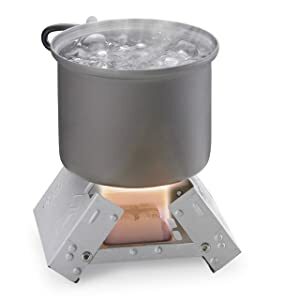 You will be introduced to some of the best backpacking stove available. As with anything else, your choice of stove must involve a lot of thinking. Because we are dealing with a potential fire hazard, it’s vital to ensure that the product you about to get is safe to use. The stove performances in different weather and temperature conditions are also important. Naturally, you will look out for proven and efficient designs but there are simply way too many models to choose from. Well then perhaps a short list of excellent products can help you make a decision much easier. When the temperature drops and chilly airs surround you, the WindBurner® Stove will be your best friend with warm drinks and hot foods. The pot is well secured to the stove so the wind cannot knock it over and create a mess. This design got enhanced stability and high fuel efficiency compared to other products. WindBurner is also windproof which allow the stove to function normally in violent winds which can easily make a conventional stove useless. The heat exchanger is well designed and transmits most of the generated heat to the pot. There are two versions of the pot available for purchase which is the 1 litter and 1.8 litters. If you want a stove for one to two people then the former is sufficient. But you should go for the larger version if there is more than that. The stove is a built-in system so just fill the pot, fire up the stove then just wait to enjoy the result. Its price may seem to be a bit expensive but the stove usefulness totally justifies the cost. 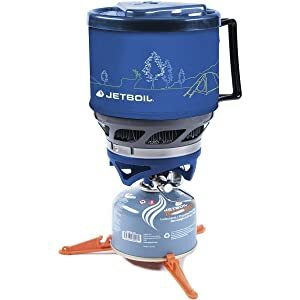 Come with its own stabilizer, the Jetboil MiniMo can be deployed anywhere you want. The streamline construction with built-in systems allow it to work in 20 degrees Fahrenheit (Or – 6 degrees Celsius). Due to the bottom metal coils, the heat transfer rate is excellent and therefore raise fuel efficiency. The sturdy handle permits a much easier time manipulating the pot. Simmer control is easy yet precise because of the stove innovative construction. If you want to eat right from the pot, its low angle shape won’t give you any issue. MiniMo did have several notable shortcomings though. It’s is not windproof so strong winds can quickly extinguish the stove. However, it performs adequately in the moderate winds which are around 8 – 10 mph. If you about go where there are little winds or the stove can be sufficiently shielded, MiniMo remains a great product. The stove is generally heavy and costly compared to other products but MiniMo stability and convenience are competitive factors to consider. Insufficient pot volume, it has less than 1 liter. This is the product for people that favor simplicity, versatility and mobility over anything else. The stove limited profile allows almost unobstructed transportation no matter where you put it in your backpack. Thanks to adjustable pot secure arms, now you can use a wide range of pot with different diameter whenever you want. You can also modify the flame strength to better fit your requirement at the time and conserve fuel if needed. The presence of the windshield feature permits the stove to operate uninterrupted under bad weather. An ultralight stove for minimalist, you can hardly find a lighter product with the effectiveness of the Snow Peak LiteMax. Its folding pot support arms take up little space in your backpack and accept a variety of cookware. With a nice mixture of titanium and aluminum, the LiteMax obtain admirable durability yet still extremely light. The flame it produces is powerful and can be increased or decrease at your leisure. Since the stove will be screwed directly onto the canister, you don’t have to pump or prime the stove beforehand. The main downside of the Snow Peak LiteMax is its price. 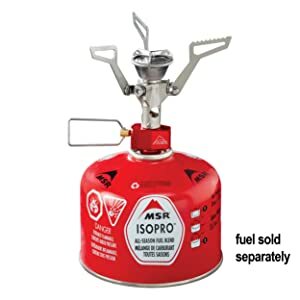 The stove performs well but its competitor such as the MSR PocketRocket 2 comes with a more affordable price tag. LiteMax fuel efficiency is slightly better than the PocketRocket 2 in no – wind conditions though and lighter as well. 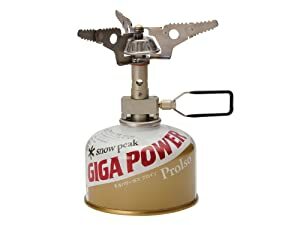 So if you want to own the lightest backpacking stove no matter the cost, you won’t go wrong with the Snow Peak LiteMax. Inadequate protection from the wind. Anything has its drawback and the same can be said about this stove. The use of liquid fuel requires priming before use and that can be dangerous if you are not careful. It’s cumbersome to carry and its operating cost is not exactly cheap. When you fire up and use the DragonFly, expect a lot of noise DragonFly which can greatly disturb people around you. For people that are shopping on a really tight budget, Esbit Pocket Stove is a product that you should take a look. It’s a dirt cheap stove and could fit in the palm of an average person. This product chooses solid fuel tablet as its energy source so there is little danger of leaking as in gas or liquid fuel stoves. You can use it to quickly heat up drinks or whip up a small meal in no time. 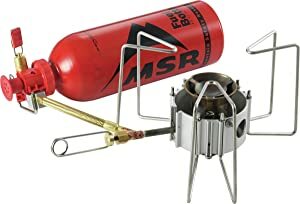 Its humble burning capacity makes the Esbit Pocket Stove more suitable for an emergency or backup stove than a primary one though. 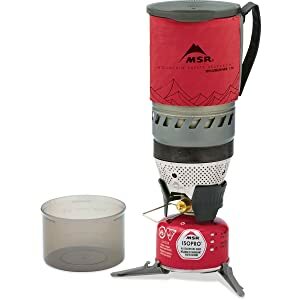 If you happen to be just an occasional backpacker and want the lightest load possible, the stove is pretty decent. However, Esbit Pocket Stove has many disadvantages that are inconvenient for sophisticated needs. You barely have any control over the intensity of the flame. Each cube will only last for 12 minutes so you have to constantly insert extra fuel tablet to sustain the stove for longer uses. The pot and pan you use on the stove could end up with sticky remains of used cubes.